Ryotaro Shiba (1923-96) is one of Japan’s most-read, most-published and best-loved writers. Yet he remains little-known and little-read in the West. 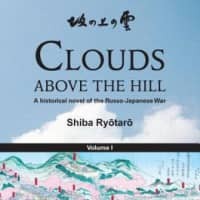 His major work “Clouds Above the Hill” portrays the first generation to grow up in the Meiji Era (1868-1912) and culminates in Japan’s surprising victory in the Russo-Japanese War, with its apparently successful and permanent entry into the dangerous Western world of technology and imperialistic competition. 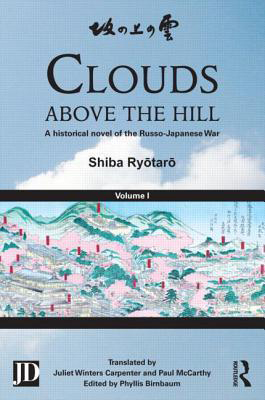 Clouds Above the Hill, by Ryotaro Shiba, Translated by Julia Winters Carpenter and Paul McCarthy. First published in Japanese from 1968 to 1972, it wasn’t translated into English until 2012, at the personal expense of publisher and Shiba-admirer Sumio Saito. Yet this translation has received little attention outside Japan. A similar first-English translation of Shiba’s “Ryoma ga Yuku” (“Ryoma Goes His Way”) has suffered a parallel lack of response. Why? The simple reason is that Shiba’s rich tapestry of historical detail can be daunting; it requires a certain critical mass of prior knowledge to appreciate it. That said, Shiba is a gift to anyone who wishes to deepen their understanding of modern Japan. For it was the lessons of the astonishing victory in 1905, totally misread, that provided Japan with a template for World War II. Japan was at the end of its resources on land, in Manchuria, when its crushing, total naval victory at Tsushima forced Russia out of the war. Thirty-six years later, Japan failed to duplicate this very chancy success. Shiba shows why. Read archived reviews of Japanese classics at jtimes.jp/essential.